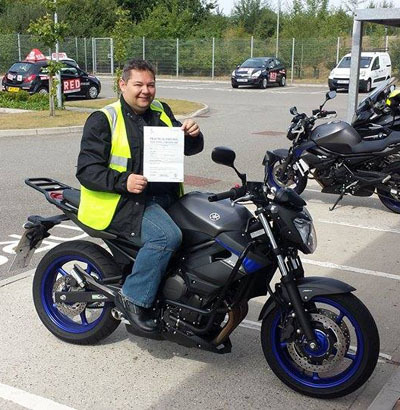 At Finesse Rider Training we offer motorcycle training for CBT, MOD1 and MOD2 for all categories, A (Direct Access DAS, big bike), A1 (light bike) and A2 (medium bike, 47bhp). All areas surrounding Great Yarmouth, Gorleston, Lowestoft, Ormesby, Filby, Martham, Stalham, Fleggburgh, Acle, Bradwell, Belton, Burgh Castle, Jamaica and Norwich. Our aim at Finesse is to provide PROFESSIONAL & FRIENDLY instruction in a clear & calm manner and to build on a great record dating back to 2002. During our history we have made a commitment to keeping high levels of service and help to raise standards by leading in the provision of investment to keep a modern fleet of bikes with some great safety features such as ABS (on category A1 & A2 bikes). In fact we were the first school in Norfolk & one of the first in the country to offer ABS as far back as 2004. It is our firm belief that the more comfortable the student the more successful the lessons will be and in turn increase the pass rate of our candidates. With this in mind all our A1 & A2 category bikes are fitted with heated grips for our less than warm days, keeping concentration levels high. Our lessons are given in a very calm & analytical way helping the student rider develop the correct reactions, choosing the appropriate controls (or combination of controls) to use at exactly the right time. 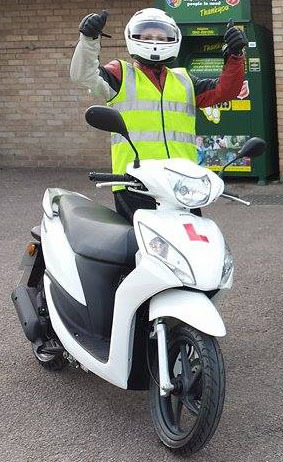 Our over riding ambition is to teach students how to ride a motorcycle correctly not just to pass a test! You come to us as a customer and leave as a friend.